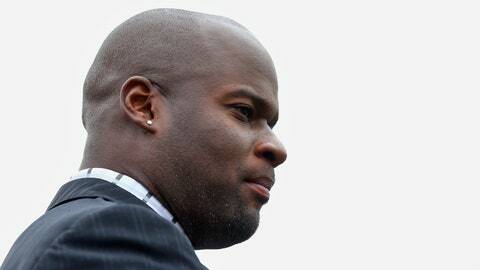 Texas spokesman Gary Susswein said Vince Young (above) 'will continue to be an employee' of the school. AUSTIN, Texas — The University of Texas said Tuesday that former NFL and Longhorns quarterback Vince Young will keep his job after his drunken driving arrest. Young was arrested late Sunday and police said his speech was mumbled and slurred. He later issued an apology on his Facebook account. Young, 32, led Texas to the national championship in the 2005 season and played six seasons in the NFL. He was hired by Texas in 2014 to promote diversity and community engagement. He is paid about $100,000 per year. Texas spokesman Gary Susswein said Young "will continue to be an employee" of the school, which is working with him to address the issues related to his arrest.